A. HOME's Holiday Gift Guide. 'Tis the Season! 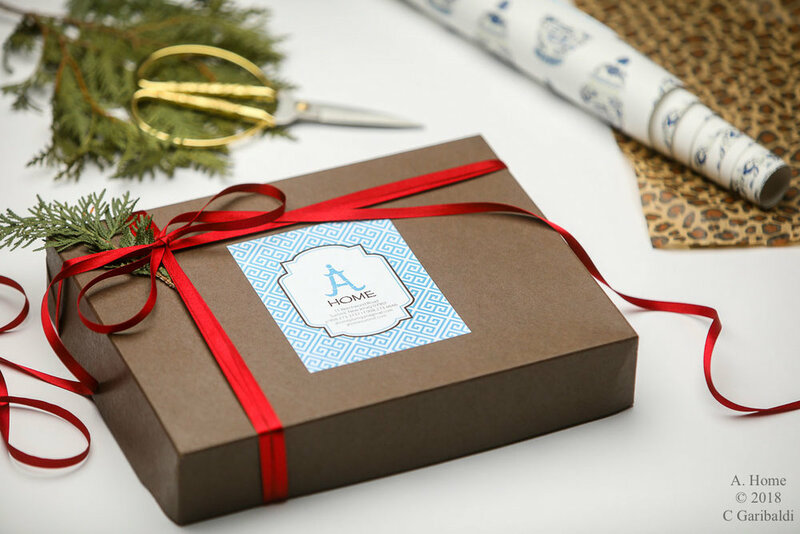 Gifts for the home are especially fitting during the holidays when many of us open our doors to welcome family and friends. This selection goes beyond the ordinary to offer both functionality and delight — and a little extra joy throughout the year. These artisan-crafted bags and tassels are made from vegetable tanned leather and are hand-marbled, ethically sourced, and adorned with elegant brass fixtures... and they make wonderfully bespoke gifts or stocking stuffers for that special someone. The coziest Winter moments start when we are gathered around the hearth with family and friends. Whether enjoying a morning coffee while perusing the paper or making memories over cocktails, fireside chats are always a welcome diversion on those most frigid of days, so why not light up in style? 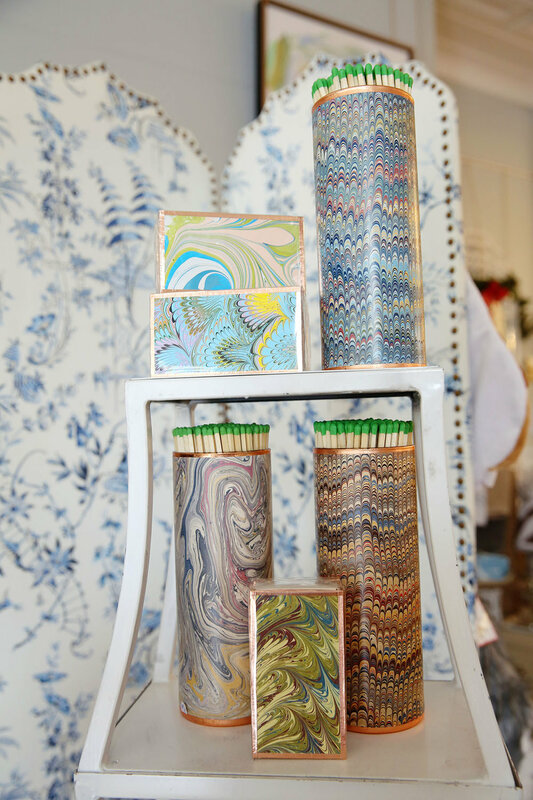 Hand-made and one of a kind, these beauties come in three sizes, are crafted with marbelized paper, and are hand-finished with copper leaf tape. The extra-long, and extra, extra elegant fireplace matches come in a reusable glass cylinder. Embroidered by talented Zulu women along the South African coast, these high-quality linens and gifts are handcrafted in a socially responsible environment. 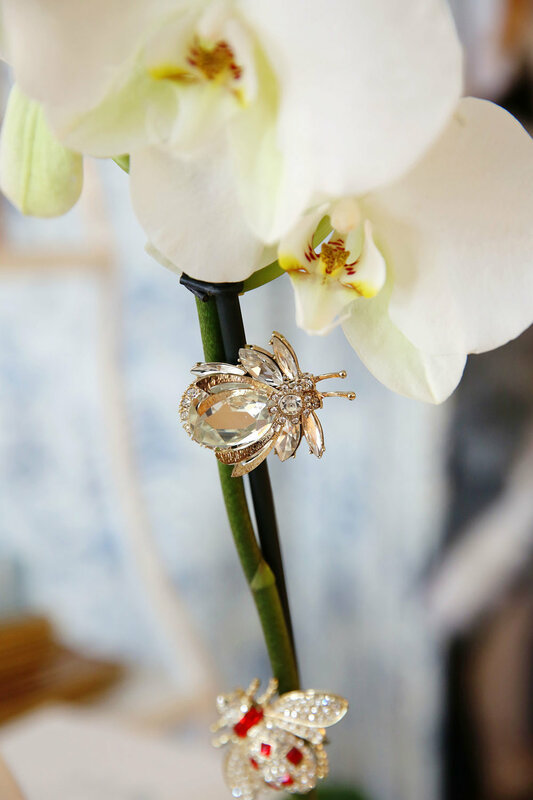 Each purchase enriches the lives of the women who made them. Choose from a Drawstring Lingerie Bag, a Zip Top Underthings Bag, or a Whimsical Cosmetic Bag. Tissue Box Covers and Hand Towels round out this delightful series. There's just something about Joanna Buchanan that makes the holidays sparkle. From sophisticated ornaments and bug clips, to ring dishes, wine charms, and coasters, we dare you to discover a decorative detail that Joanna hasn't made just a bit more festive. Created in seasonal jewel tones of ruby, amber, jade, and pearl, these beauties are sure the dazzle and delight. Demilune's scented candles combine traditional craftsmanship with the purest ingredients and environmental consciousness. Our classic vessels are crafted of 100% recycled glass. 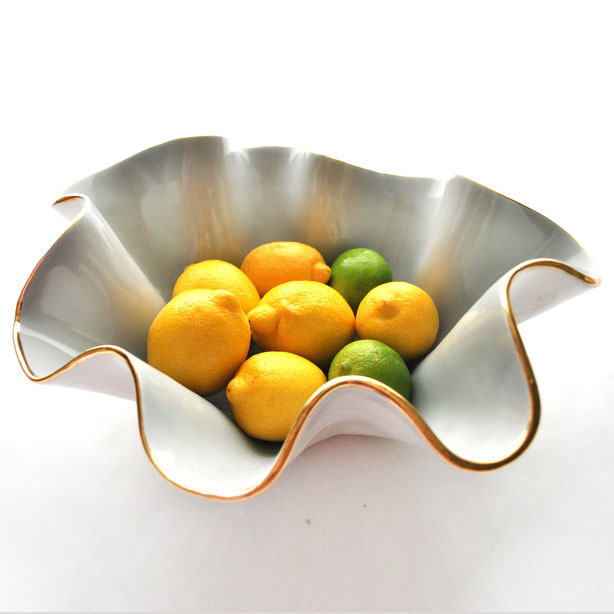 Each piece is mouth blown and hand shaped by skilled artisans. These beautiful glasses can be re-purposed and are dishwasher safe and lead-free. 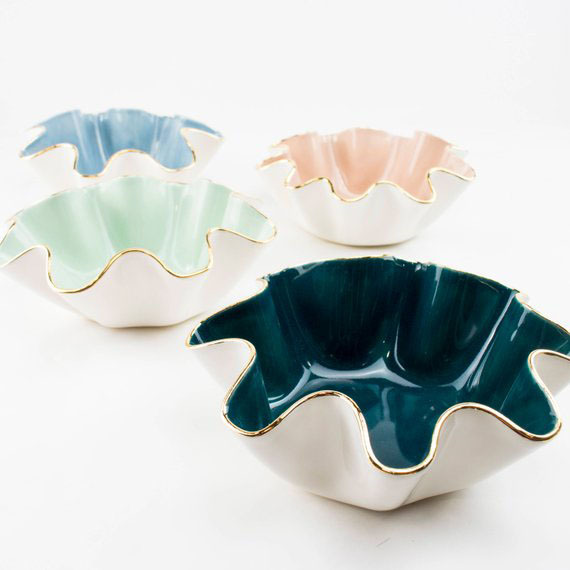 With a shape that’s just as loose and organic as it is sculpted and defined, these bespoke ceramic wavy bowls are crafted and altered while still wet for a truly one-of-a-kind appearance. By turns gorgeous and artful, these pieces elevate any space or dinner service. *Please note quantities are extremely limited and are going fast!